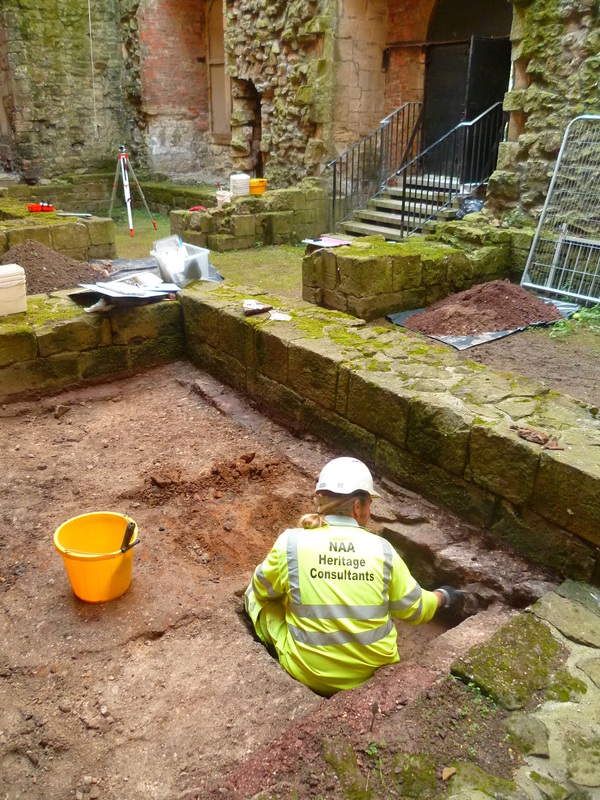 CBA North news – the archaeological year is not yet out! Our latest installment once again spans the variety of the CBA North region and of what various groups are up to across the region. We look at what has happened this year with the Dig Appleby project of the Appleby Archaeology Group, happening the now with events this week of the Teesside Archaeological Society and others, as well as announcing events that will be happening in December further north in Sunderland and yet further north again in lectures of the Border Archaeological Society and Till Valley Archaeological Society in the following week as well. Local group round-up; DigAppleby 2016! DigAppleby got off to a splendid start on 8th July when around 30 volunteers signed up for duty at the Launch Meeting in the Market Hall’s Supper Room. Since then, many more people have come forward to offer their gardens for “archaeological investigation” or to enroll on our various training events. We chose the allotment area behind St Anne’s Almshouses for our first foray. This is a large, open, grassed area that had the advantage that we could spread ourselves about without bothering anybody. Moreover it was thought that, given the nature of its historical use, there was a good chance that deeply-buried medieval remains might remain undisturbed. 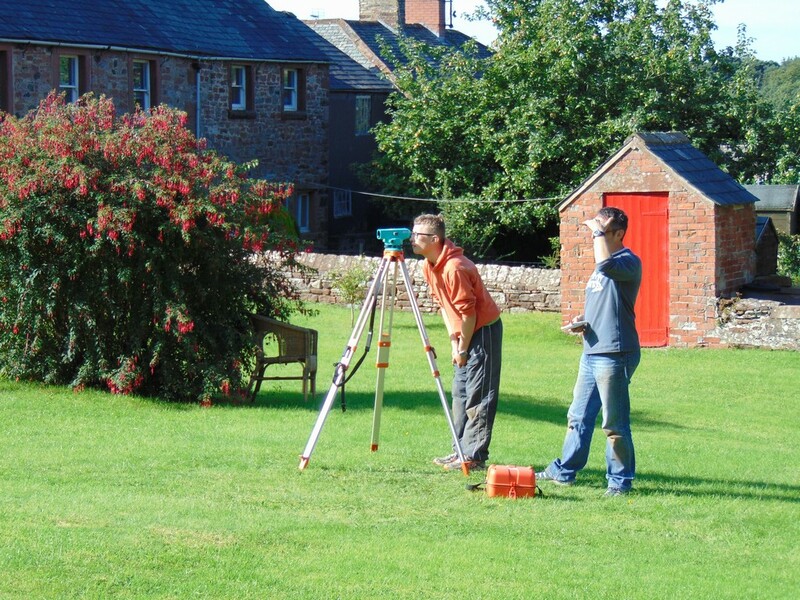 The first weekend saw volunteers producing detailed geophysical and topographic surveys of the site. 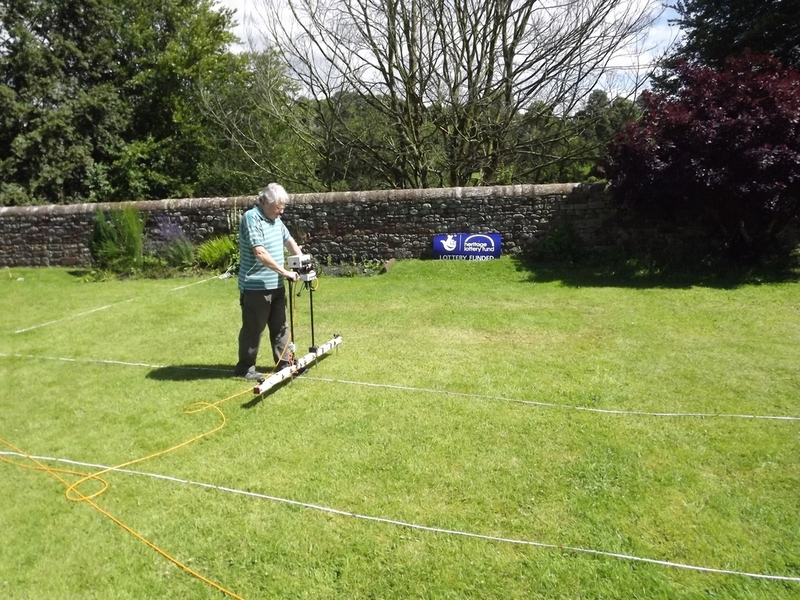 We used both earth resistivity and magnetometry surveying equipment. This sounds rather technical but was actually very easy to operate and, once the results had been fed into Martin Railton’s computer, our first peek into Appleby’s past was quickly revealed. After due consideration of the results, two test-pit sites were selected and a second weekend session was scheduled. There was no shortage of volunteers and, further encouraged by some excellent weather (the Almshouses really are a delightful place to work) the pits were duly dug and our first finds began to appear. The first pit revealed a crude cobbled surface, identical to one found previously at the top of Boroughgate and which we believe to be medieval in date. Fragments of pottery were recovered including some medieval pottery, and later wares, also some hand-made nails, some animal bone and glass. In the second test pit we found a deep deposit of rubble. 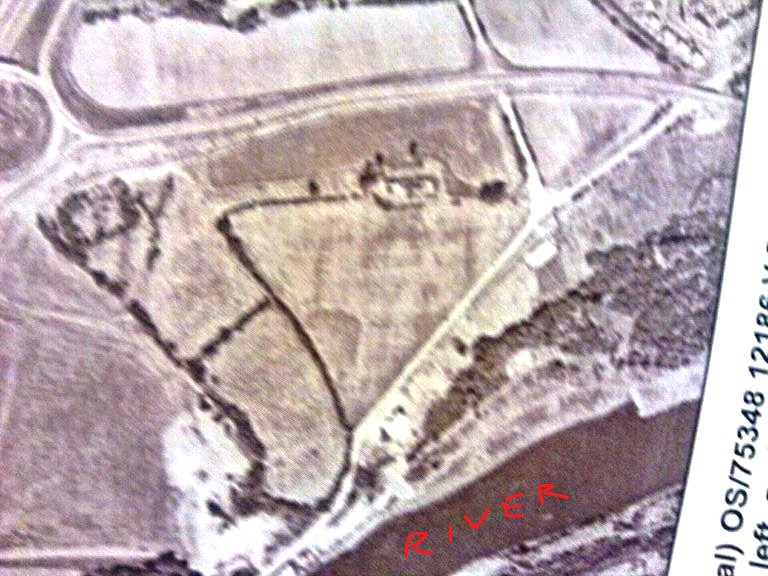 Associated finds indicated this was 19th century and we believe that this is probably the demolished remains of a buildings shown in this location on the 1861 Ordnance Survey map. This confirmed the results of the geophysical survey, which indicated the presence of a high-resistance area. More test pit excavations were planned for our “Big Dig weekend” between Friday end of 16th and Sunday 18th September. See applebyarchaeology.org.uk/digapplebyblog for details of these. Elsewhere, and specially tailored for armchair archaeologists, we held a training session to provide an introduction to the arcane art of medieval document transcription. This proved so popular that we had to schedule a second session. The documents proved to be remarkably tricky to decipher and some of us came away with severe headaches and a renewed interest in the delights of using trowels. But it was all very interesting and gave a surprising insight into the medieval mind. There’s still a long way to go, of course, before we get anywhere near the objectives we have set for DigAppleby, but we feel we have made a jolly good start! [The first Appleby Archaeology Group event of 2017 will give a progress report on these investigations as well in talks by a number of contributors]. This week sees a pair of events with the Teesside Archaeological Society across the Pennines from Appleby. A bigger piece of archaeological work is reviewed tonight with the last of the society’s own lectures on the excavations associated with the current A1 upgrading between Leeming and Barton by Helen Maclean of AECOM at Stockton Central Library, Stockton, at 7.30 p.m. to which everyone is welcome. On Thursday there is a second chance to attend the First World War Building Recording Project of the society which we have covered earlier. This workshop will train you in how to undertake building recording, research methodologies, and identify First World War built structures. This knowledge can then be utilized in your involvement undertaking of building recording within the area. The information obtained in this process, will be published and made publicly available to people around the world for a better understanding of these important structures. As before this will be at Sir William Gray House at Hartlepool; no previous experience is required. This free workshop will take place on Thursday 1st December. If you would like a form, or to book a place, please contact the Teesside Archaeological Society through the links of our website. Also on Teesside this week also sees the Frank Elgee Memorial Lecture in Middlesbrough on Saturday morning. 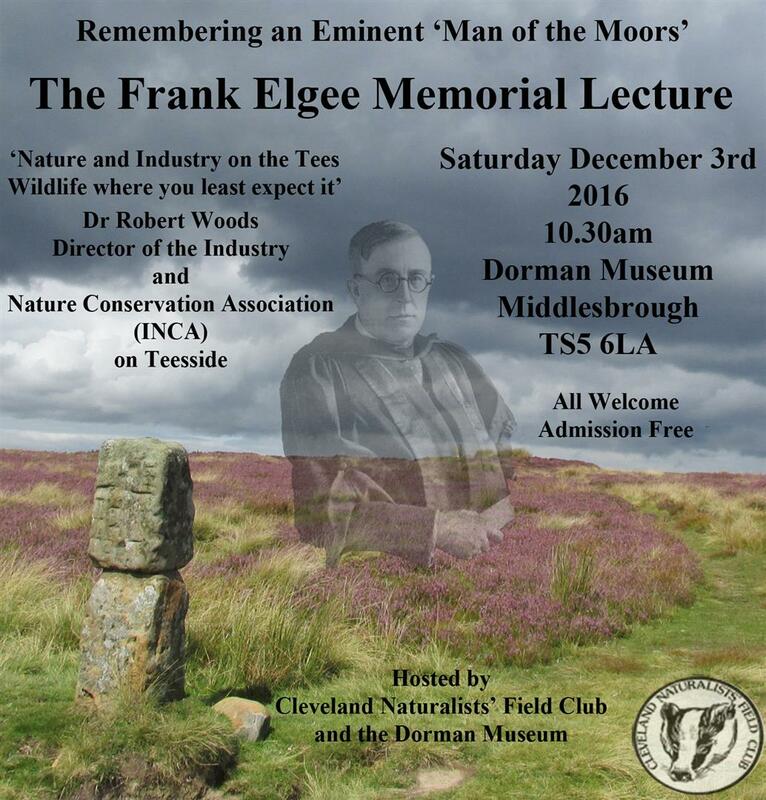 This annual memorial lecture is named after Frank Elgee who was a noted assistant curator and curator of the Dorman Museum, Middlesbrough, between 1904 and 1932 and author of many articles and books concentrating on the Teesside and North Yorkshire Moors covering the archaeology, folklore, geology as well as the flora and fauna of the area. Further details on Elgee can be found at https://en.wikipedia.org/wiki/Frank_Elgee. Whilst some events look back to what has happened in 2016, some events look forward to events and projects happening in the future. One of these meetings is detailed below to which all interested in the project are invited to attend by Denny Wilson below for us. 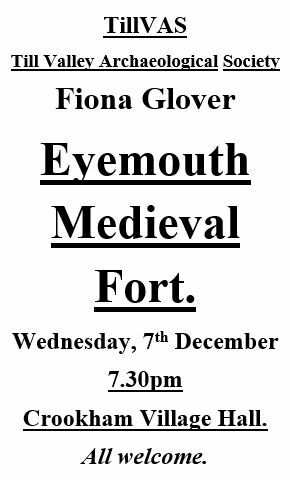 There is to be a public meeting for this project with the archaeologists at the Billy Hardy Centre, Castletown, SR5 3EQ, 7pm on Wednesday, December the 7th. The local volunteer group Castletown Neighbourhood Action Group (CNAG) based in Sunderland, have been awarded £93,900 by the Heritage Lottery Fund (HLF) for this project. 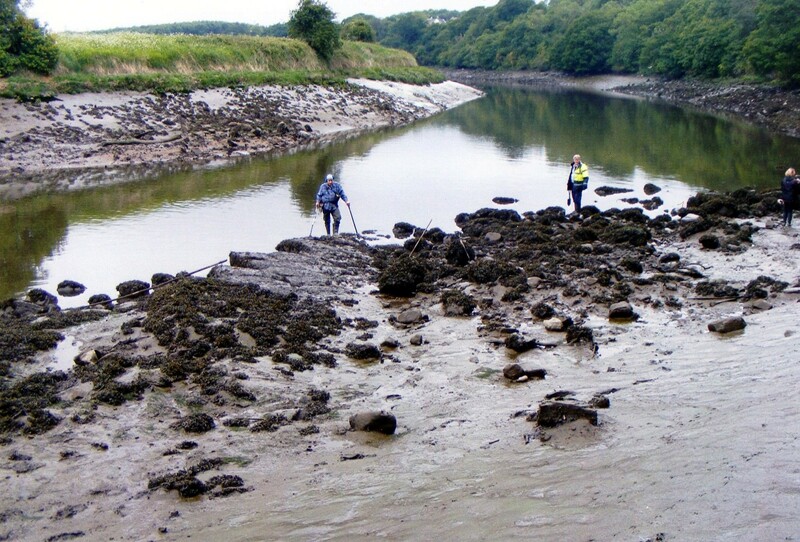 In a specification written up by Tyne and Wear County Archaeologist and professionally supervised by accredited archaeologists local volunteers and schools, supported by Sunderland City Council, will investigate several interlinked sites around the city to try and identify the origin of an ancient stone structure that once spanned the River Wear between North and South Hylton. – Was it a bridge, dam, causeway or weir? – Why was it built? – When was it built? – Who would have had the motive, wealth, manpower and skills to construct such a massive piece of civil engineering? This project will bring together many people of different ages, backgrounds and abilities to try and find the answer. To kick-start the project there is to be a public meeting with archaeologists from Wardell Armstrong at the Billy Hardy Centre, Castletown, 7pm, on Wednesday 7th December. The archaeologists will give an outline of the project and anyone interested in being involved is invited to attend. Feel free to circulate and let’s look forward to a productive and enjoyable experience! Meanwhile the north of CBA North’s region is not to be outdone either. 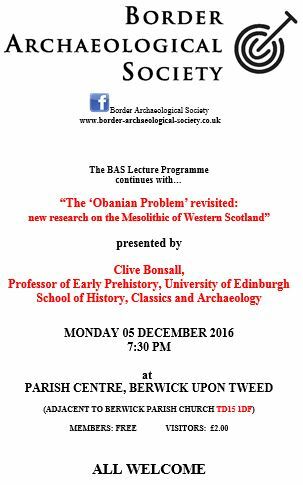 Next week there are a pair of lectures at Berwick and Crookham with the Border Archaeological Society and Till Valley Archaeological Society respectively. This entry was posted in E Newsletter and tagged Appleby, BAS, excavation, fieldwork, lecture, Middlesbrough, Sunderland, TAS, TillVAS, WWI on November 29, 2016 by cbanorth. Today CBA North feels a bit like an estate agent. Would Sir or Madam be interested in either of these two ‘offers’ for your archaeological time and interests? We have two very different houses of different periods, locations and settings from the southeastern parts of our CBA North ‘collection’ (sorry, that should read as ‘region’) with events that you may be interested in. CBA North Members and Followers might be interested in the chance to take part in excavations at Hylton Castle which are being run as part of the Hylton Castle Project which is an initiative, recently launched, by the Friends of Hylton Castle and Sunderland City Council supported by the Heritage Lottery Fund. These excavations run from Monday, 26th September, next week to Friday, 7th October, the week after. If you’d like to try your hand at archaeology, and find out more about the history of the site, then why not give it a try? No previous archaeological experience is necessary, though places may be limited if there is high demand to be involved. If you would like to join in please contact Penny Middleton of Northern Archaeological Associates through her email address which is pm@naa.gb.com or call 0191 375 0943 for further details. Many CBA North Members and Followers will already be familiar with the Street House excavations of 1980s date of a rare long cairn and ‘wossit’ monuments. More recent excavations by Steve Sherlock and the Teesside Archaeological Society have since revealed a rare Anglo-Saxon bed burial and prehistoric settlements. On Tuesday evening next week, 27th September, the lectures of the Teesside Archaeological Society resume and open with an account of more recent again excavations led by Steve Sherlock. Here the news of a site “of regional or perhaps national significance” will be reported at the lecture. 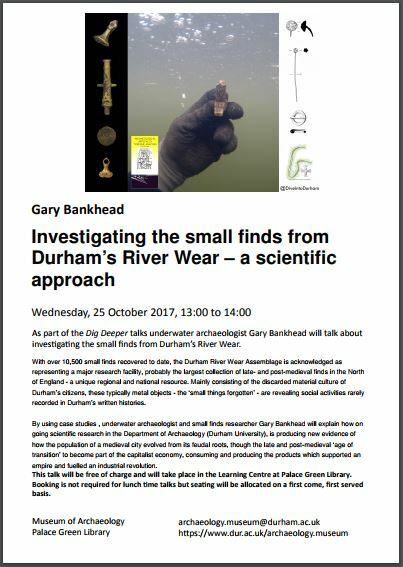 Further details of the site, the time and location of the lecture venue can be found here. This entry was posted in E Newsletter and tagged castle, community, excavation, Medieval, Neolithic, Sunderland, TAS on September 23, 2016 by cbanorth. We still have some spaces on an 11 week Archaeology course run by the WEA which has just started at Monkwearmouth Station, Museum North Bridge Street, Sunderland, SR5 1AP between 10.15am and 12.15pm on Fridays. This entry was posted in E Newsletter and tagged course, Monkwearmouth, Sunderland, WEA on April 29, 2015 by cbanorth. 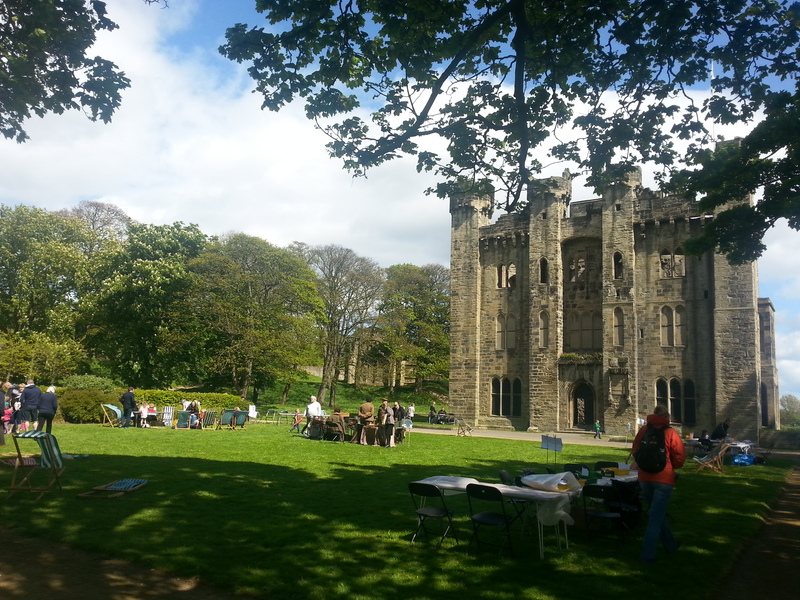 Hylton Castle Community Open Day – enjoy a range of family fun activities including children’s crafts, storytelling, historical interpretation, castle tours, as well as the opportunity to view the proposed designs for the castle redevelopment. See Hylton Castle – Community Day for further details of the open day and also to find out more about how to get involved in the Hylton Castle redevelopment project. This entry was posted in E Newsletter and tagged castle, community, family, Heritage Lottery Fund, Hylton, Sunderland on April 17, 2015 by cbanorth.